Unit consists of a heavy-duty burning pen cord, one heavy-duty spear tip burning pen, & a pen holder. * $16 for shipping to any address in the US. Second year - parts are free with a minimal labor charge. Since we have no control over their proper usage, warranty on pen burn out is 90 days and cords are guaranteed against defects for 30 days . The control box has a port that is suitable for all Burnmaster and Detail Master pens. The cord included with the unit accepts most other major brands of burning pens as well as the pen that is included with the package. *Razertip pens may be used with an adapter plug. 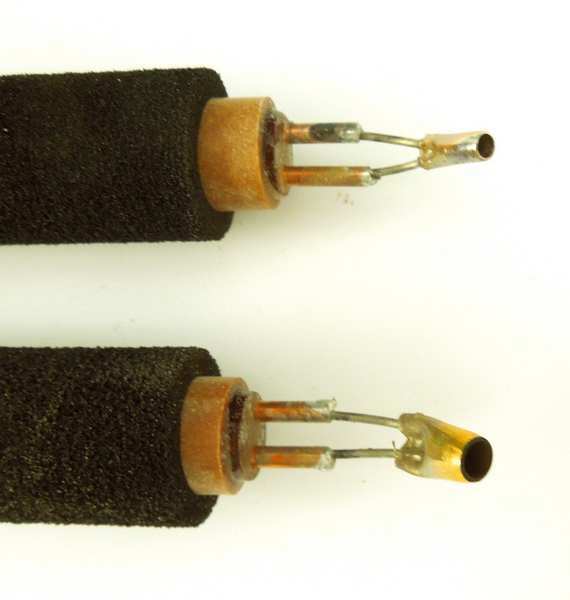 If necessary, special cords with screw lugs or RCA plugs are available. Q. Why is only one burning pen included in this package? A. 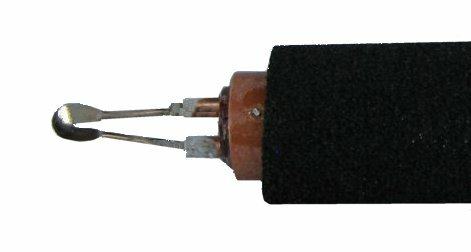 This basic unit is packaged to my specifications - I do almost all of my burning with only one pen shape! Of course, other pens are available, and you can use almost any handpieces you currently own. This is the "Bonnie Gibson Signature Model" spear tip burning pen that is included with each woodburning unit. Tip length may vary slightly. Other Optional Pen Styles - standard pens are $19 each, special shapes are a bit higher. The spear tip shader is similar to the spear pen that comes with the burner, but it is angled so that the pen may be held at a comfortable angle for shading. The fine tip lets you shade in tiny corners and spaces. The square tip shader is also bent at an angle, but has a large squared end for burning and shading next to lines. This is a larger, heavier unit than the Patriot 1000 burner, and has some nice features for those that do extensive pyrography and want a heavy duty unit. The Hawk has a micro-head adjustment feature that allows you to raise or lower the wattage delivered when using very lightweight or heavy burning pens, and can deliver up to 130 watts of power. It has a reset/fuse button to prevent power overloads. 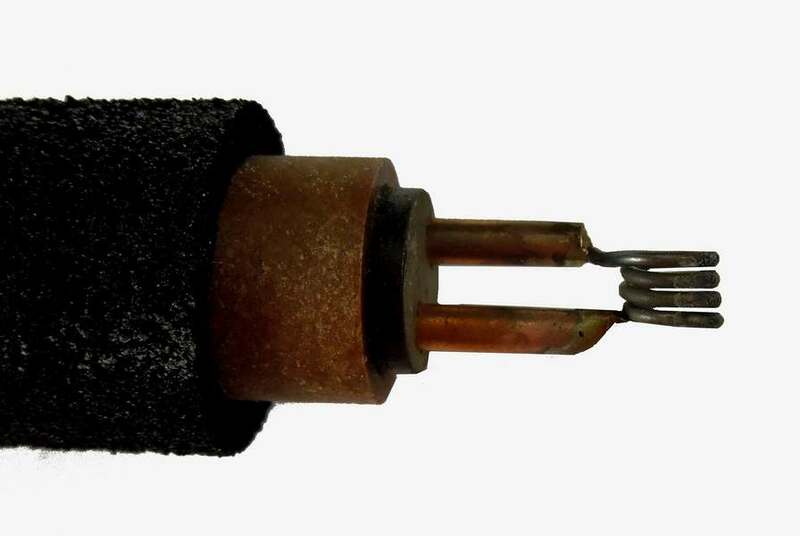 This unit uses the same type of cord as the burner shown above, and will accept pens from all other brands (Razertip pens require the use of the included RCA adapter plug). The included pen accepts all "hot wire" replaceable tips made by all other manufacturers, and comes with 10 replaceable tips that change easily with a simple screwdriver. The newly redesigned pen (not shown) has a slightly slimmer handle than previous models. * $15 for shipping to any address in the US. Note: This unit is also available without the pen, and the pen is available without the unit. Pen and 10 tips: $88 Base unit only (includes cord and adapter plug, but no pens) : $183 Shipping is extra. New! Adapter Plugs, Basketweave Pens, Circle pens and Ball Tip Burning Pens! New - Keep your burning pen tips clean and sharp with this Cleaner/Strop combo. Use the fine sandpaper side to remove heavy carbon deposits. 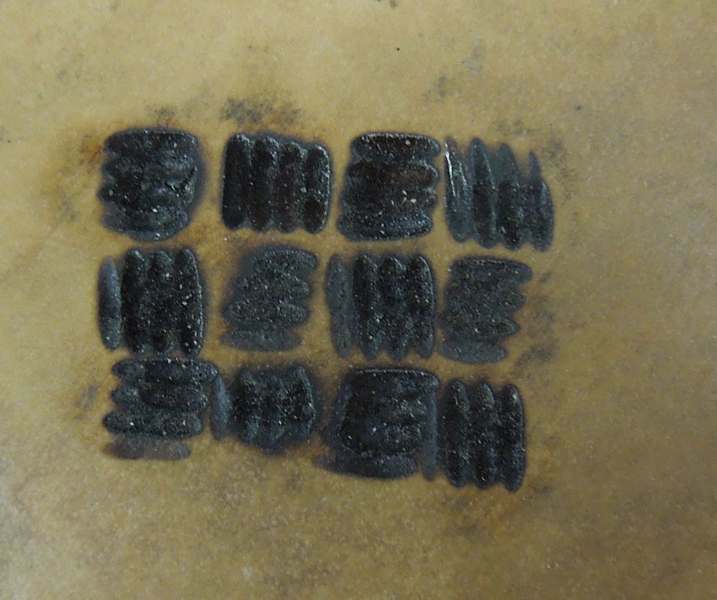 Rub the included compound onto the leather side, then strop the pen tip across the surface several times to keep the tip sharp and performing at its best. The small Strop is about 7" long x 3/4" wide. The 1 oz. compound is a 1000 grit blend that will keep all your pens (and knives too!) honed to a keen edge. 1) You will need to turn the heat up slightly on both circle burning pens and ball tip burning pens. 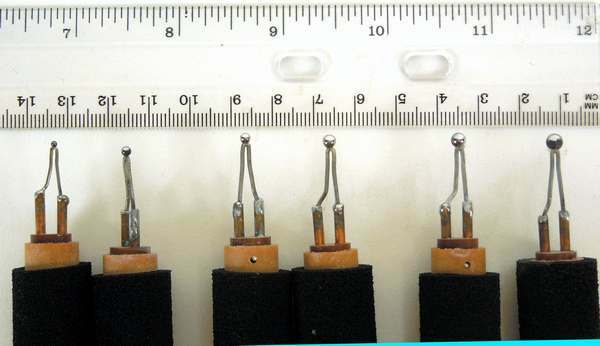 2) The 1.5mm size is perfect for making faux stitching holes in the leather tooling technique. This bench top fume extractor removes soldering smoke and fumes quickly, safely and efficiently. Great for electronics, arts and crafts, and stained glass work. •One Extra replacement filter included. *This will offer you the lowest price ( about $36) and free shipping! 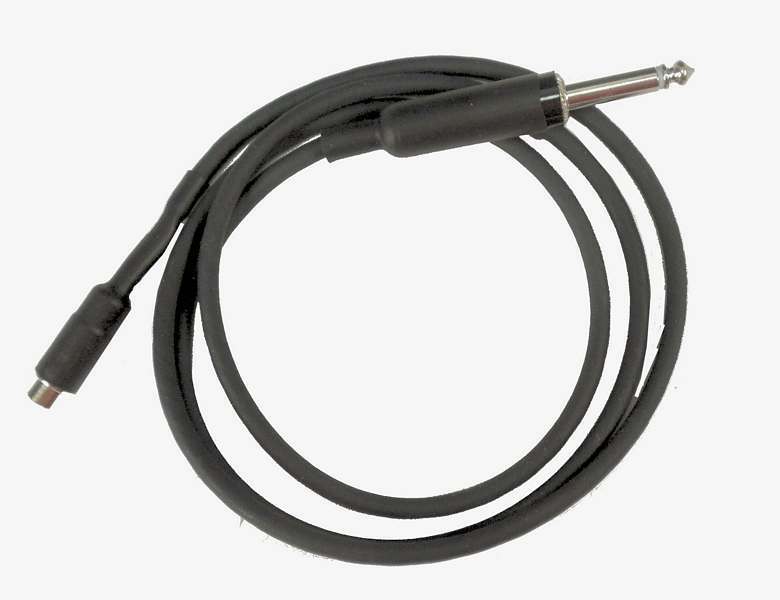 The cord has a radio plug on one end that will also fit Nibsburner, Optima and Colwood pens. You will need to buy an adapter plug to use Razertip pens in this cord. *The large circle is out of stock but aremore on the way. order now and I will ship in under a week. 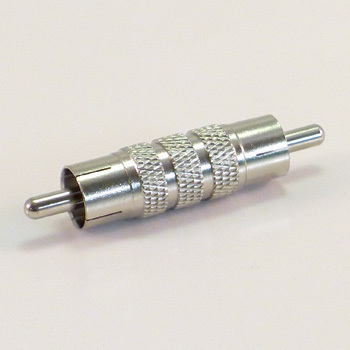 Adapter plug B - Use this adapter to connect a Patriot, Burnmaster, Nibsburner or Colwood pen to a Razertip Cord. 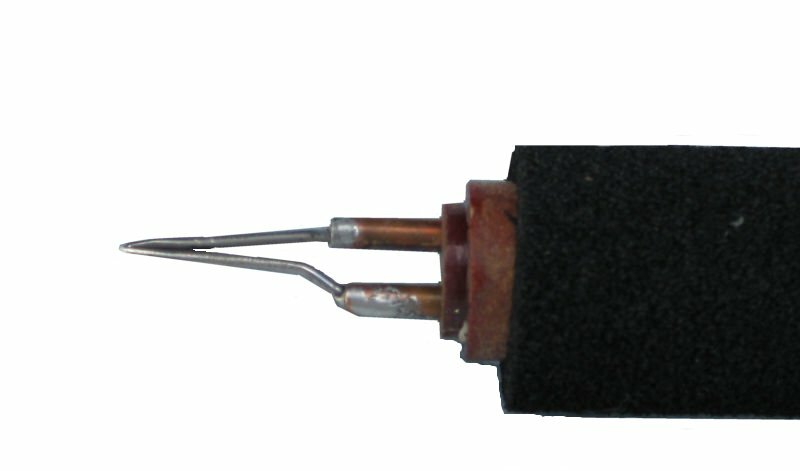 To use, push one end firmly into the cord, and seat the pen firmly on the other end of the plug. $4 - NEW LOWER PRICE! 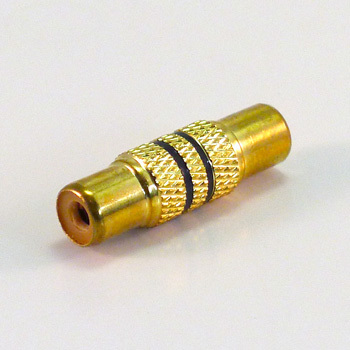 Adapter plug A - Use this adapter to connect a Razertip pen to a Patriot, Burnmaster, Nibsburner, Colwood or Detail Master cord. To use, push one end firmly into the cord, and seat the Razertip pen firmly on the other end of the plug. BURNMASTER EAGLE, 2-PENS, 10-TIPS & BAG SET. By Mastercarver® High-performance tools!TM This uncompromising set has everything you need for maximum convenience & quality wood burning. 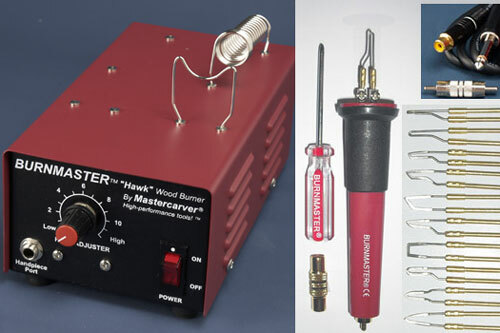 This set includes the Burnmaster Eagle 2-Port wood burning power supply. The "Eagle" features 130-watts maximum transformer, 2-selectable handpiece power ports, 2-universal handpiece power cord / adapter sets & 2-handpiece holders. Set includes: Eagle, 2-Burnmaster® wood burning pens plus a full selection of 10-burning tips & the 779001 Mastercarver Tool Bag for storing everything! 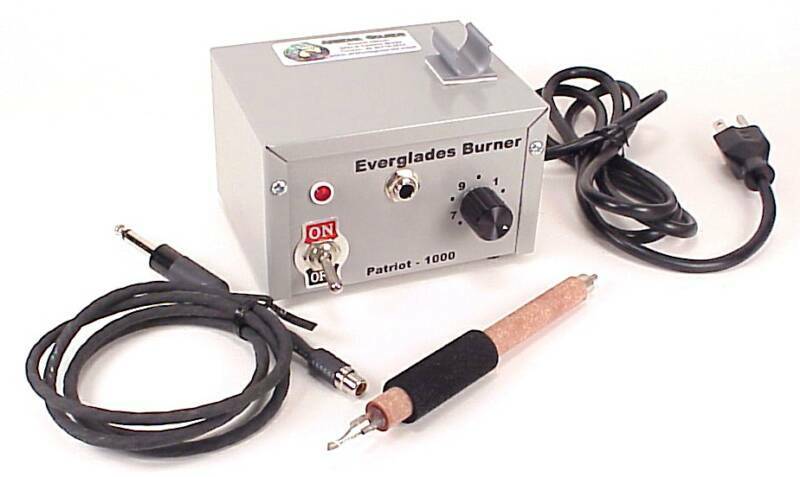 The Burnmaster® EAGLE 2-Port wood burning power supply: Imagine a top quality wood burning system that accepts any pen (handpiece) regardless of manufacturer & has up to 130 watts of power! It's not a dream, it's the Burnmaster! The advanced design of the amazing Burnmaster is so superior it's revolutionary! Unlike others, it accepts all major pen connection systems! So instead of being forced to use just one pen brand or buying adapters, you can choose & use virtually any pen. The Burnmaster accepts wood burning pens by Leisure Time Prod. (Detail Master), Colwood (Detailer), SMC / PJL, (Optima), Nibs, Navesink, Razertip & others with similar connections. 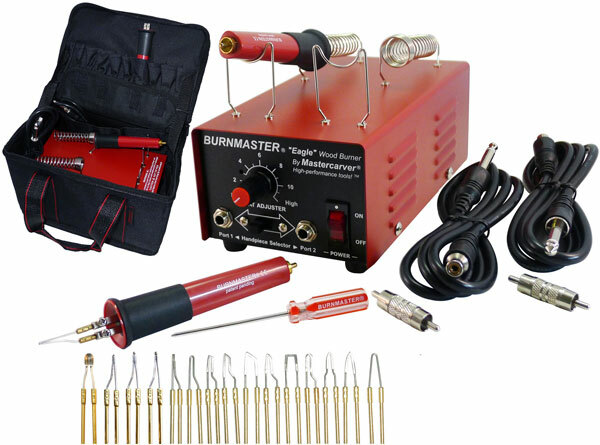 Burnmaster controllers feature, pro quality components, 130-watts max. transformer, precise variable power supply (now with micro heat adjustment), custom designed circuitry, reset fuse protection, all metal housing (3.5" x 4.75" x 8.5"), non-slip rubber feet, 6' power cord, manual & 3-year warranty. Weight: 4.5 lbs.